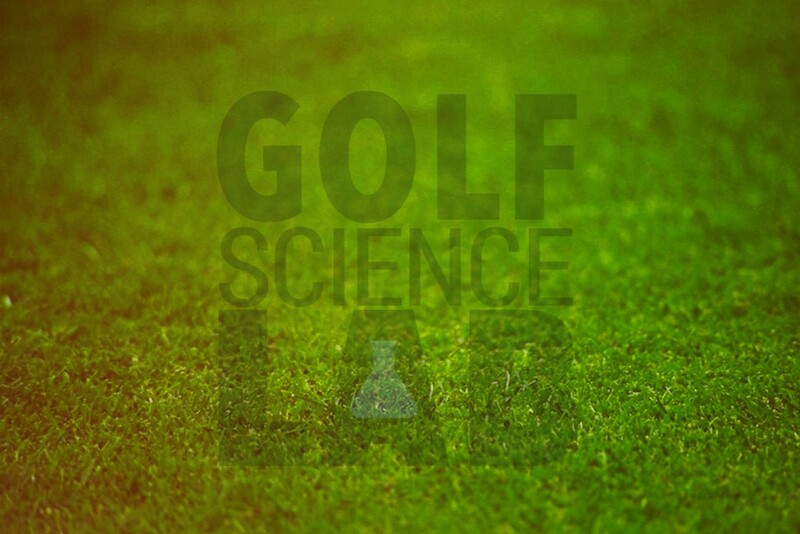 Golf science is simply the study of things related to golf. It could have anything to do with the best way to grow grass on the green to the best way to swing a club. 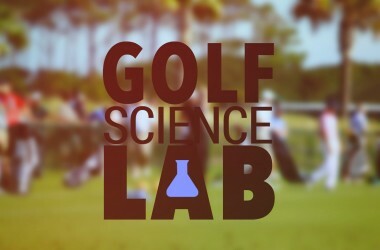 I think that’s at least what it is in my head and that probably primarily stems from the world scientific congresses of golf which has covered all things related to golf science for the past few decades. Where I would like to see it go is maybe more on the direction of say track and field. If you look at all the track and field coaches, they are coaching long jumps. I am a university track coach and I go to professional development stuff with my track coach hat on and I listen to Olympic coaches talk about the best way to coach long jump. What’s interesting is that 99% of Olympic long jump coaches all understand the biomechanics. So if you polled a whole bunch of Olympic long jump coaches and you said what would be the ideal knee angle that take off for an athlete that has a hundred meter sprint time of this. They would be able to give you a good example. Or if you ask a question what would the idea take off angle or what is the best mechanics to jump this far? They will have the same answers. All that they are going to be different on is how you coach the athlete to improve upon those things. The mechanics of it is all pretty much send down and decided upon we are all working from virtually the same model and I really like to see golf instruction get there or at least try to move in that same direction. Right now, I think the average golf instructor doesn’t even realize that it’s helpful to have a model of the cause and effect factors in the golf swing. They do in some extent in their head and they think these are important but very few people in my mind have a clear picture of what that is or how it should be organized in their head; let alone everybody having the single model to work from. Where are we doing harm? I think there is a natural tendency to want to have golf swings to look aesthetic. There also seems to be this overriding desire to want to have stuff move on the back swing and the down swing in the same way. We hear it constantly with most logic being that the golfer doesn’t have to reroute it or make a compensation. It’s not like we’re tracing out a path through the snow and therefore it’s going to be easier to follow that path back to where you started. There is absolutely no reason in my mind scientifically why you want to move things in the same way in the back swing and down swing. There is definitely no cause and effect link there. But I think 50 years ago 3D measurements were very challenging and you just look at 2D videos and say “that looked pretty plane” or “some of the better golfers look like they are moving their club in the same back swing and down swing plane and with the hands moving in the same plane.” It maybe was a bit intuitive to think that was a good thing; moving on the same plane and that meant less error. I don’t really know. But really it’s not about just what the club is dong or just with the hands doing, it’s the relationship between the two that actually matters. So saying you want to see the club dissect the forearm or you want to see this club line up at a certain line on the screen in a down the line view, really it doesn’t involve much wider in my opinion. There are a couple of words that I will bring up—scientific terms—internal validity and external validity. External validity is kind of a measure of how closely it represents what’s actually happening in the real world. Internal validity means the result you get is exactly due to the things you have manipulated in your experiment. So forward dynamics has really high internal validity. I know that any change that I get in club head speeds say with my model was due to whatever change I made with my model. If I change the timing of the wrist torque and I see a club head speed change I know it was exactly due to the wrist torque because everything else stayed the same. I can’t take a real golfer and say change your wrist toque by this much I want to see the change in club head speed. I have no idea how the other stuff changed. But to Nick’s point, how well does your model actually represent what a real person can do? And there is a whole lot of ways you can try to check that off. There had been a bunch of studies before the forward dynamic model that have tried to represent say the way muscles work. So my equations for the way the muscles work are based on all of those other studies. So hopefully the representation of the models are accurate. And then there are ways to check whether the math is correct. So there are little checking functions built in to make sure that the amount of work the golfer does in the club actually equals how much energy the club change by. Then you just have common sense things like, what’s the club head speed, what’s the path, does it look like a golf swing—for me those were the biggest things. And then maybe the more technical to do it in a paper would be to say can I make my model swing like a real golfer. 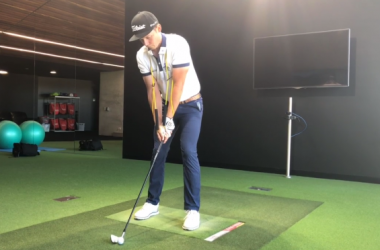 So I would get a real golfer in the lab, I would hook him up with all the markers all over them to an inverse dynamics assessment and say here is the force and torques they applied to the club, here is the way they move their segments, can I make my model do that? The answer is yes and therefore you can say it’s pretty representative of a real golfer. Dr. MacKenzie completed a PhD in Sports Biomechanics at the University of Saskatchewan, which focused on 3D forward dynamics simulation of the golf swing. He is currently an associate professor in the Department of Human Kinetics at St. FrancisXavierUniversity and his research interests lie in the optimization of human movement with a strong emphasis on sport performance. 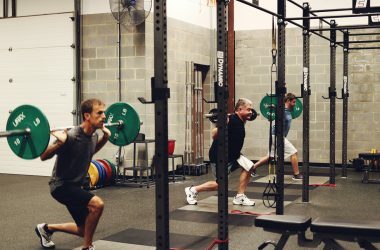 His research encompasses both optimal sport movement patterns as well as the most advantageous training techniques. 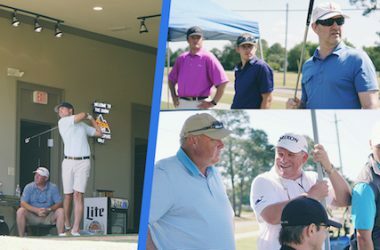 He has conducted, presented, and published research on putting, shaft dynamics, 3D mechanics of the swing, shoe fitting, and the role of center of pressure in the golf swing. My research interests are centered on the optimization of human movement in sport. My current research endeavors range from optimizing the biomechanics of athlete training techniques to customizing the properties of the golf club to a player’s swing. My approach to solving problems on the optimization of human movement is founded on the development of forward dynamic models. Recently I have been programming genetic algorithm routines to determine the optimal timing of muscle activation patterns in my human models. Nick is an avid student of golf and is known as an organizer of Golf Fitness Professionals, Biomechanists, and Golf Teaching Pros. You can learn more about him by listening to this interview or check out his mission and site below. The average handicap in the U.S. has been 16-20 for fifty years. Even with better clubs, balls, yardage information, and improved course conditions, most players are still not breaking 90, even those who’ve played hundreds of rounds of golf. GolfProgress is focused on the intermediate player (8-30 index) who has reached a plateau and wants badly to make drastic improvement in their game, despite the many pressures of life that restrict our time, money, and energy.